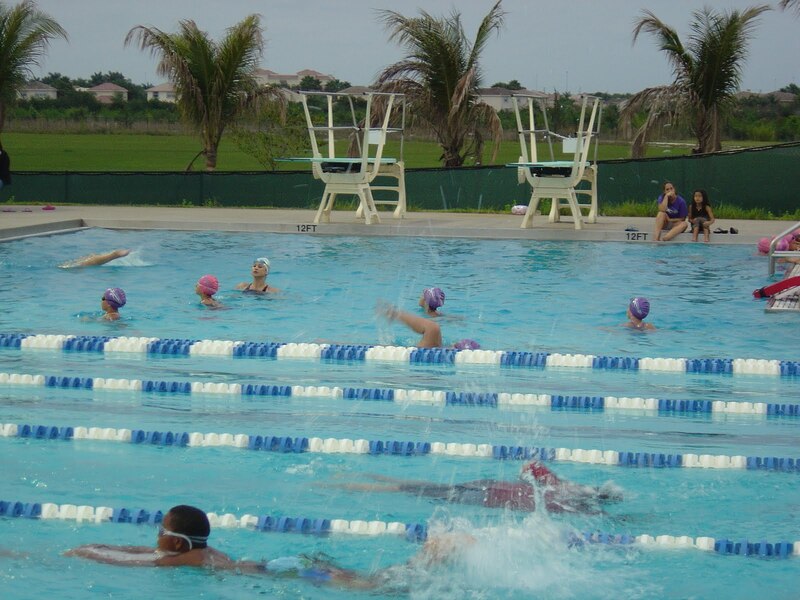 There are some swimming class schedule updates linked toward the bottom. 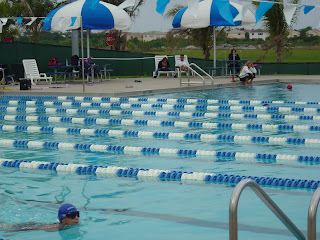 My son started swimming classes tonight at the Regional Park Aquatic Complex in Miramar. Classes were to start last night, but if you live anywhere around here, you remember the horrible weather we had yesterday. If you don't know where this park is located, I put the address and phone number below, but if it helps, my kids call it the Target Park because it is located just east of a Target Store. This map might get you started, too. I couldn't find a complete schedule online, probably because it changes frequently, but they will help you over the phone. The 3 year old class my son joined was $35 for 10 classes (10 consecutive weeknights). I think it might be slightly more for non-residents of Miramar. Also, the pool is open to the public. It's not just for classes. The teacher of my son's class was great. He had the attention, mostly, of 6 three year olds; for a first class, he convinced each kid to do every task, really unbelievable; and there were at least three tasks of the ten total that my kid has never done without freaking out with his mom and me. So the calm confidence, along with peer pressure, really was working for him. As crazy as it might sound, that place was hopping for 7:30pm on a Tuesday night. 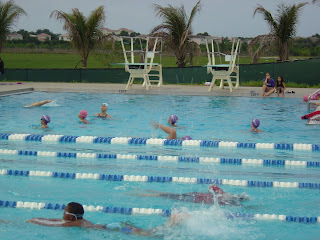 There was a synchronized swimming class, people swimming laps, swimming lessons for multiple grade levels. All with multiple life guards in an outdoor, lit, heated pool. Great experience tonight! Also, remember this park has baseball, soccer, basketball, volleyball and even cricket fields; playgrounds, places for parties, picnics, barbeques, boating, a water park and much more. Here is the park website which lists all the amenities. Check it out! Monday – Friday: 9 a.m. to 8 p.m.
Saturday – Sunday: 9 a.m. to 6.p.m. Also, I guess I'll take my camera tomorrow since I couldn't find one picture of the place. It does exist, people! 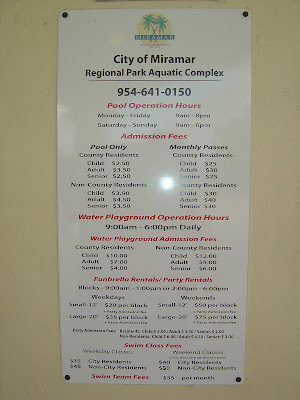 Update 6/23/2010: Here is another picture showing Hours and Fees for the Water Park and Pool, Umbrellas, Party Rentals, etc. Swim Class Schedule Update 5/7/10: I added another posting with some class schedule information. I will try to post the most recent information as it becomes available. Update 5/11/2010: I just got off the phone with the guy at the aquatic complex and he told me to call him on 5/13 to see if the city approved the schedule for after June 6 yet. I'll get that schedule, either in person or by email if I can bribe the guy then. Don't bother calling before then, he said. I'm trying my best for you! Update 5/13/2010: Here it is, people. The schedules for June through November, 2010. Update 5/16/2011: Here is the newest class schedule. 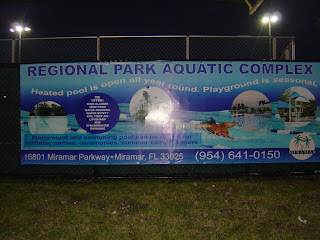 I moved to Miramar, Florida back in October, 2004. Let me help you get started with some numbers that I wish I'd have had handy upon my move. This is surely not a complete list and will not meet every person's needs. Feel free to add new resources and comments for all the new people moving to our city! City of Miramar. This official website will help you with official city departments and interests. 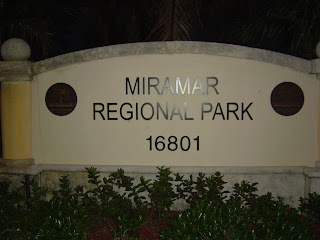 Miramar Parks: Miramar has lots of parks. Broward County Property Appraiser: This is Lori Parrish's office. If you bought a house, this is where you're going to want to go to establish your Homestead exemption, if eligible. I wish I'd have known about this exemption right away upon moving! This office was also nice enough to put together an awesome list of other related Broward County Offices, such as Sheriff, Parks, Hospitals, Airports, etc. You will also find other State Offices and Broward County Chambers of Commerce links there. 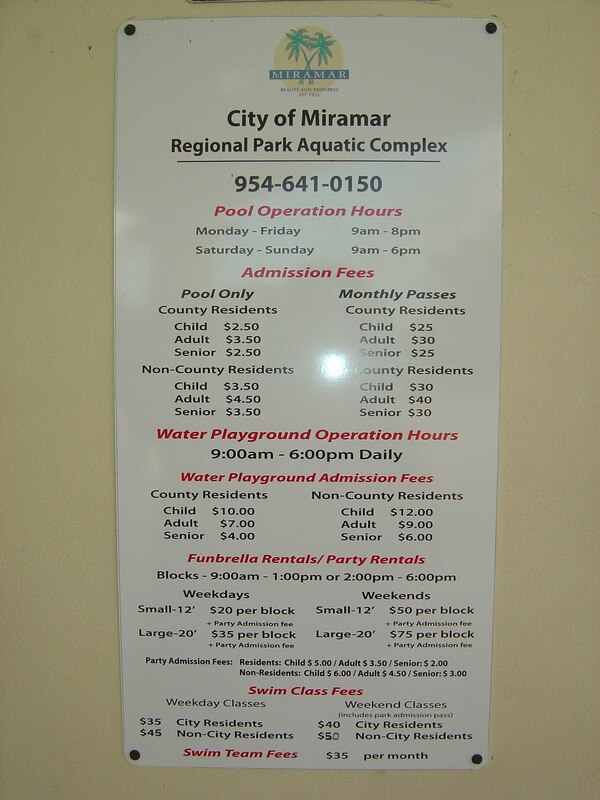 Miramar Police: Of course you should dial 911 for emergencies, but (954)765-4321 is their non-emergency number. Check out their site for much more information. BTW. Slow Down! Miramar Fire-Rescue: Emergency information including lots of great tips. Miramar Schools: This is not a complete list, but could be a good start for you. Please comment if you have further information. My children go to Somerset Academy Miramar, but that won't be convenient for everyone. Miramar Hospitals: Memorial Hospital Miramar is one excellent hospital, but there are many local to our city, including several others from Memorial. My son was born at Memorial Hospital West in Pembroke Pines, and my wife got a tetanus shot there too after being bitten by a dog, so there are several others that are very conveniently located to our city. Child Safety: Information including babysitting and poison control. Recycling Bin: Yes, these guys will even deliver one to your home. The link tells you how to make the order. What I recommend you do is to make a list of the most important numbers for you, print that out, and put it on the refrigerator. If you have stainless steel appliances, just tape it there! Because having those numbers handy is super important, and the internet IS NOT always available here in South Florida. Miramar has come a long way in the past decades. When I moved to Miramar in 2004, there was an overgrown field across the street from where I live, the community of Vizcaya. Trees and vines everywhere. I thought nothing of it. A few years later, some heavy equipment crews came in and took out all of the trees and brush, put up a giant chain-link fence and built sidewalks around the field. Was a little strange, but OK. I guess we're going to have a new strip mall, right? Nope. Up went a sign that this was to be the future Snake Creek Readiness Training Facility run by the Florida National Guard. It seems as though several of my neighbors already knew that, and I was the one not in the know all along. The Florida National Guard has owned the land for over 30 years, but they are just now developing it to replace armories that are aging in Hollywood and Miami. After all the trees and brush were cleared a few years ago, nothing happened for a while. Then a bunch of backhoes and bulldozers pushed sand and dirt around for several more months. Now I am no engineer, but I haven't seen anything accomplished there since the initial clearing. But I could be wrong. In the past few days, I decided to investigate what's to become of this desert they made. Here is a construction report that shows that there are huge plans. It's going to be exciting to see all of those project happen in front of my eyes. Or maybe I am just not used to viewing bid forms for construction of a few buildings. Regardless, I was looking because of my general interest. After reading a few articles, it became apparent to me that the history of this field was extremely interesting! President Kennedy ordered the site to be used during and after the Cuban Missile Crisis to protect Florida and the United States! That's right, from 1962 until 1979, the military used this as a Nike defense missile site. That is so interesting! I'm sure Miramar back then was mostly uninhabited and had many dirt roads still, but, let me repeat this again. Across the street from my house there was a missile site aimed at Cuba. If that doesn't get your blood going, nothing will! The Nike252.org website is absolutely the best I've found at providing facts and details. I guess I shouldn't be surprised considering author Charles D. Carter actually served in the Army at this location at that time. I actually exchanged emails with him just yesterday. Here are some relevant links that you will also find interesting, but my favorite part of the site, besides the history lesson, shows actual photographs. I've included two of them on this posting, but there are several more, and there is also a way to share more if you happen to be in possession of any. By all means, please do so. The website is super awesome! Now I am willing to bet my smartie neighbors didn't know all of that! So I guess I'll be giving the next history lesson of sorts. Please comment if you are interested or know something more or if I somehow got a fact or two wrong or if you have a photo or for whatever reason. Thanks for reading and your participation. This is a picture of a sentry tower on the missile base, with warning signs. Around the time I moved to Miramar in 2003, the City started designing a state-of-the-art sports facility called the Ansin Sports Complex. But it wasn't until February 14, 2009 that the grand opening celebration took place. 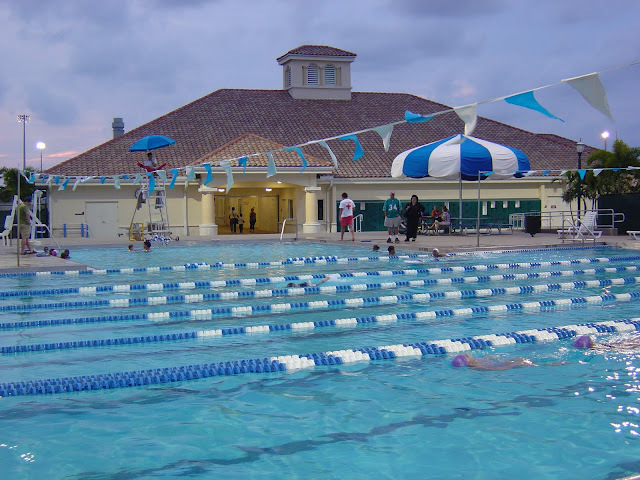 Ansin Sports Complex is located walking distance from the Miramar Town Center. The City of Miramar has also developed a brand called Miramar Sports to attract sports and entertainment events both at the Ansin Sports Complex and other City locations. They say, "If it's sports, it's Miramar." Personally, as much as I love sports and athletics, I really need to go check this place out. 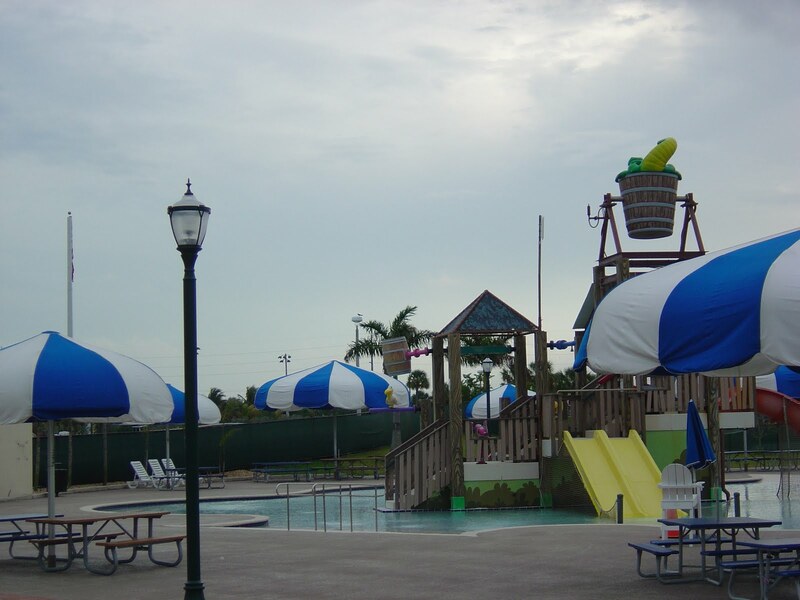 Take a look at this list of amenities that they offer! Finally, here is how to contact them. Let me know about your experiences with Ansin Sports Complex and sports in Miramar in general. Hope to see you there sometime! Here is a photo from the Grand Opening. A Dedication to The Ansin Family. 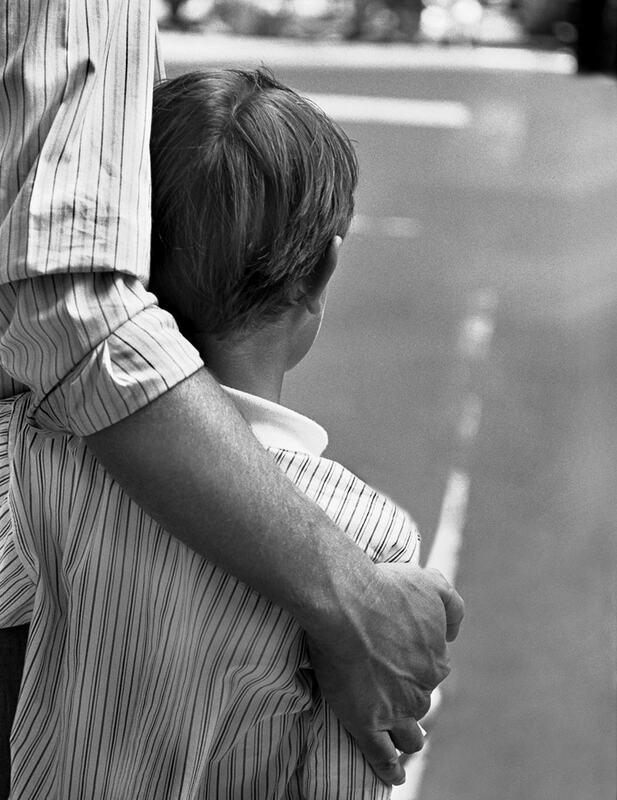 The City of Miramar has a Young Men's Mentoring Program called the Big Brothers Corner. The program is designed to help young men between the ages of 12 and 18 develop leadership skills that will help them be productive adults that can achieve their goals. I think this is a pretty terrific idea! I didn't see a schedule of events, but there is a contact person for the program listed: John Kee, Athletics Coordinator; (954) 602-4783 or jckee [AT] ci.miramar.fl.us Perhaps they are also looking for volunteers and mentors. If you know more about this program or have participated in it in any way, please comment! I'd love to hear more.